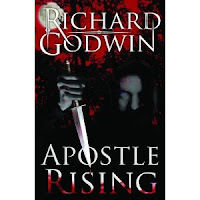 Richard Godwin is one of THE finest noir/ horror writers alive. Even his answers in this interview are electrifying. His works seem chilling, soulless, but his characters' pain is genuine. Cindy much appreciated coming from you. Apostle set the . . . table . . . (sorry for the pause my table remark threw the fabulous Mustard man right to the front of my brain)for me. I've said before and will say again, Apostle is one of the most remarkabe first novels I've read. And I'm eagerly awaiting the release of Richard's next book. Sounds like he's not letting up a whit and that's a very good thing. I know this book will make a big splash, and is still being discovered by many. I anticipate it will continue to proliferate into the ranks of its respective genre(s), and will be widely received. Richard Godwin is full of surprises. Bill thank you my friend. Your depth of observation and wealth of appreciation are widely appreciated. Mark it's good to see you here. Thank you for your support and awareness of my slip stream styles. Richard, she didn't mention your recent... ahem... barbeque short story. One of your most graphically hilarious (my sense of humor is wonky, to be sure). And I can't believe I didn't see the food theme before. Should you ever write something in any way related to grilled cheese sandwiches, please let me know. Great questions, great answers. And I look forward to seeing how your vision of the publishing future will play out. I'm one of the multitudes who are sick of the celebrity books. 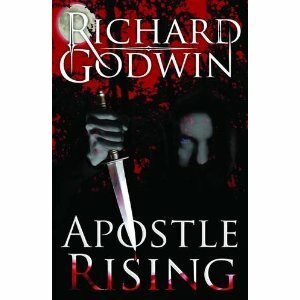 A delightful interview that shows several of the myriad sides to Richard Godwin, a favorite author of mine and of many. Becky thank you if you like grilled cheese sandwiches you must try HP sauce. And has anyone noticed anything about the two titles I'm A Lasagna Hog and Go Hang A Salami? Sal thank you for your comment and all your support. Many sides, many dishes. Carrie good to see you here. Thank you for all your support. Jill you are an anagram adept hostess who I am sure is adept at spice. Thank you for allowing me to be your guest.